The Indoor Range will be open on Monday and Wednesday evenings from 7 pm to 9 pm beginning November 7, 2016 and ending on the final evening Wednesday March 29th, 2017. The Indoor range will not be available when the temperature is minus 30 Celsius or colder. The Indoor Range will be closed on Monday December 26, 2016. Two Range Safety Officers will be on duty to assist club members and visitors with understanding and following the range rules. Targets and ammunition are available for purchase. 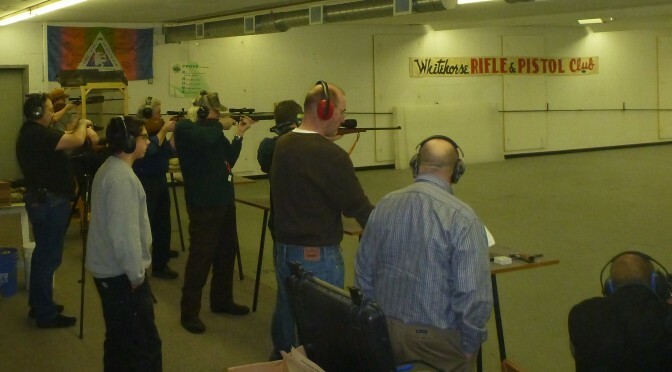 Members and visitors are required to sign-in when using the indoor range. Food or drink is not permitted in the indoor range area. Please enjoy your beverage in the main clubhouse. Rimfire (.22 cal) shooting is scheduled to begin at 7 pm. Only club members with Handgun Proficiency Status may shoot Centre fire handguns once the rim fire shooters are finished. All firearms brought into the clubhouse should be carried in a safe manner following the principles of the Canadian Firearms Safety Course. Once at the firing line, your firearm may be removed from the case. Handling firearms behind the firing line is not permitted. Always check with the Range Safety Officer for assistance. Many thanks to all the Range Safety Officers who have volunteered their time to ensure a safe shooting environment during the public access evenings this summer. There are two Thursday evenings remaining in September for the public to access the outdoor range with the final evening being Thursday September 22nd, 2016. Two Range Safety Officers are on duty to ensure compliance with range rules. While the range is generally open between 7 pm and 9 pm on Thursday evening be prepared for an earlier closure as the available daylight disappears quickly at this time of the year. Public Access to the outdoor range will start again in May 2017. Monday evening 7 pm to 9 pm at the Bench Rest Rifle area. Bring a stable rest for your rifle, a few rounds for sighting in and your spotting scope if you have one. You will require 5 rounds per target. Targets at 300 meters scored on group size. Shoot one target, or two and maybe three if there is time and interest. Every Thursday evening from the beginning of May until the end of September, the WRPC shooting range is available to the public without charge. Range Safety Officers are on duty to ensure a safe shooting environment and all participants are expected to obey the Range Safety Officers. The range may close before 9 pm in the fall if light conditions are not suitable for shooting. Please check out the Range Rules before you arrive to the range. The Range Safety Officer will advise you on approved targets and direct you to the appropriate shooting area. Public night can be very busy in the weeks leading up to hunting season so if you are planning to sight-in your rifle for hunting get this task accomplished well before you plan to go hunting. Don’t forget to bring your paper targets, stapler, hearing protection and spotting scope or binoculars. Your time on the firing line may be limited when there are a large number of people wanting to shoot. The YOUTH SHOOTING PROGRAM is gearing up again with enrollment on Tuesday November 3, 2015 at 7:00 PM. This program is sponsored by the Yukon Shooting Federation, which is the governing body for the Shooting Sports in the Yukon. Parental permission is required. See Youth Program Brochure & Consent Form (PDF) for details. WHO is it for? Girls and boys, 10 to 18 years of age. WHERE does it take place? 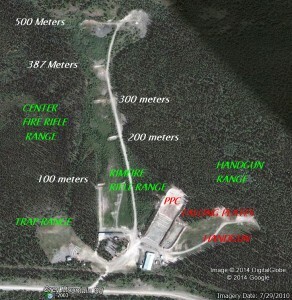 Whitehorse Rifle & Pistol Club, Indoor Range, located Mile 3.2 Grey Mountain Road. WHAT HAPPENS? Youth will receive instruction on the safe handling of firearms and rifle shooting techniques using top quality air rifles. Youth will learn and follow the Range Rules to ensure a safe environment for all. They will improve their target shooting abilities and also have fun in the process. 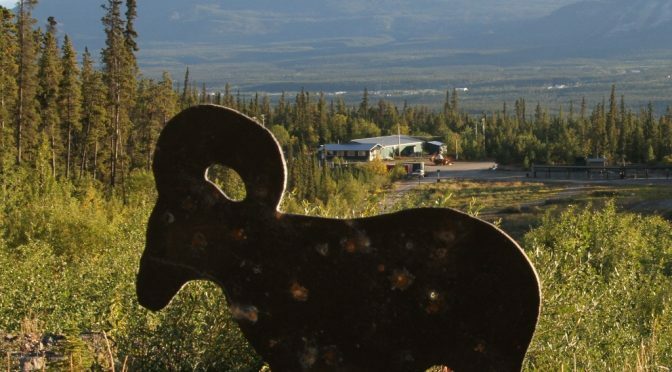 Includes Youth Membership with Whitehorse Rifle & Pistol Club, pellets, targets, and firearms maintenance. WHEN: Every TUESDAY EVENING 7 PM TO 9 PM from November 3, 2015 until March 29, 2016.